Low maintenance living! New roof in 2016. New HVAC in May 2017. 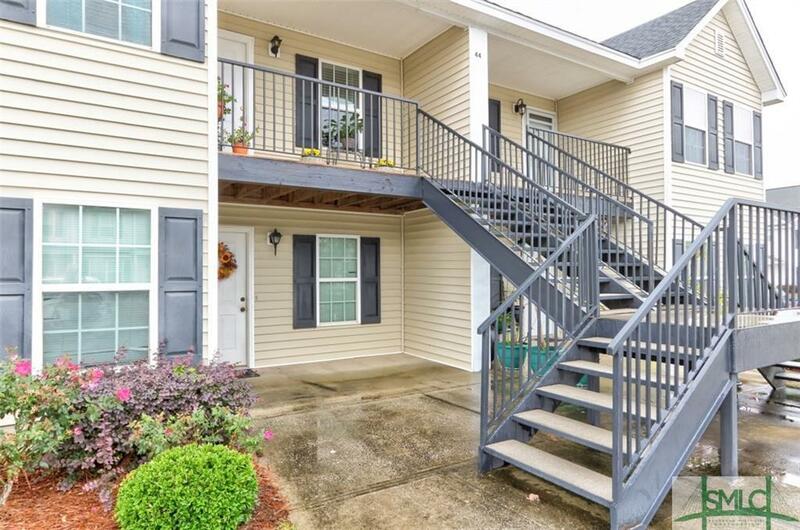 Split plan 2 bedroom, 2 bath upstairs condominium with two assigned parking spots located just in front of the unit. Foyer entry with tiled flooring. Large living room has hardwood flooring with access to covered balcony and storage room. Galley kitchen has laminate countertops, all appliances and pantry space. Master suite has a walk in closet, single vanity and tub/shower combo. Laundry room with washer/dryer hookups are located in the hallway. Listing courtesy of Toni Hardigree of Platinum Properties. © 2019 Savannah Multi-List Corporation. All rights reserved.